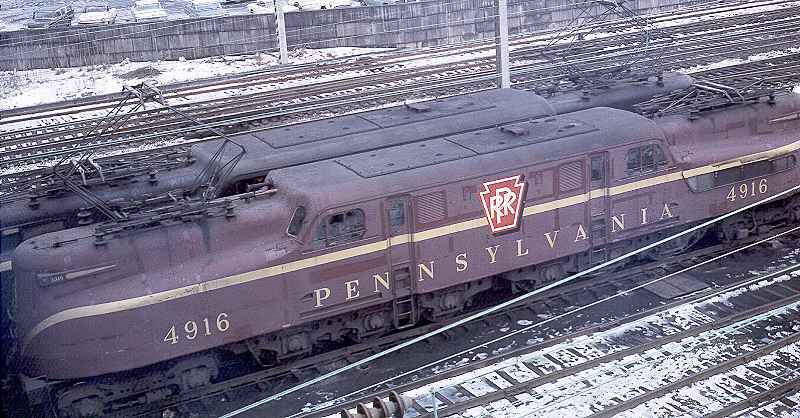 The Pennsylvania Railroad GG1: The "Congressionals" and "The Senator"
In 1885, the PRR introduced a passenger train that ran between New York City and Washington, DC with limited stops along the route. This train, known as the " Congressional Limited Express", became the favorite train for businessmen and politicians. As traffic increased, more "limiteds" were added to the railroad's schedule and by the 1940's there were, among many "limiteds" two "Congressionals", one leaving Washington for New York and one leaving New York for Washington each afternoon , except Sunday. These two very popular trains were each led by a GG1 and the "Congressonal" out of Washington could make the 226.6 mile run in 3 hours and 35 minutes with six station stops. In the early 1950s, two more "Congressionals" were added. Each day there would be a "Morning Congressional" and an "Afternoon Congressional" leaving from each city. Later, two "Mid-Day Congressionals" were added. 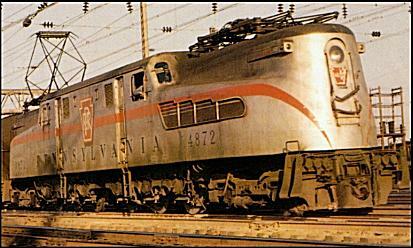 The PRR purchased sixty new streamlined cars from the Budd Company in 1952. The cars were used on the "Congressionals" and also on "The Senator", a Boston - Washington "limited" that was shared with the New Haven Railroad. These handsome stainless-steel cars with Tuscan red trim were assembled into train sets of coaches, parlor cars, dinning cars and squared-ended observation cars. To pull these "signature" trains the PRR painted six of its GG1 locomotives Tuscan red with the famous gold leaf pin stripes in 1952. The GG1s selected were numbers 4908 through 4913. Later, four more (numbers 4856, 4857, 4876 and 4929) were given the same Tuscan red livery. In 1955, when the GG1 livery was restyled, all of the GG1s were painted Brunswick green exept five of them. Numbers 4907 and 4916 were painted Tuscan red and numbers 4866, 4872 and 4880 were given a special livery. These three were painted silver and had, a broad red stripe, a very large keystone and 18 inch high black "Roman" lettering. All five of these locomotives were eventually painted Brunswick green with standard livery.